Why would I need self storage in Van Nuys, CA? There are a variety of reasons why you might need self-storage in Van Nuys, CA. How much is a storage unit in Van Nuys, CA? The cheapest storage unit in Van Nuys, CA is $68.00 per month. What size storage units do you have available in Van Nuys, CA? In Van Nuys, CA we have sizes that range from 3'x5' to 10'x30' to suit your storage needs. How much is it for a 3'x5' storage unit in Van Nuys, CA? The cheapest 3'x5' storage unit in Van Nuys, CA is $68.00 per month. Located in the San Fernando Valley in Los Angeles, Van Nuys is situated between the neighborhoods of Northridge and North Hollywood. It's one of the largest communities in the San Fernando Valley, with a population exceeding 100,000. Van Nuys is home to a fairly young population when compared to neighboring communities. This neighborhood's name originated in the early 19th century, when it was still an undeveloped part of the San Fernando Valley and a distant train ride from the center of Los Angeles. In 1911, developer Isaac Newton Van Nuys helped establish the community, and it was officially annexed by Los Angeles in 1915. When it was added as a stop on the Pacific Electric Railway red car system, the city's population and commercial districts received a significant boost. Van Nuys boomed after World War II, when it began to develop its commercial and industrial sides. 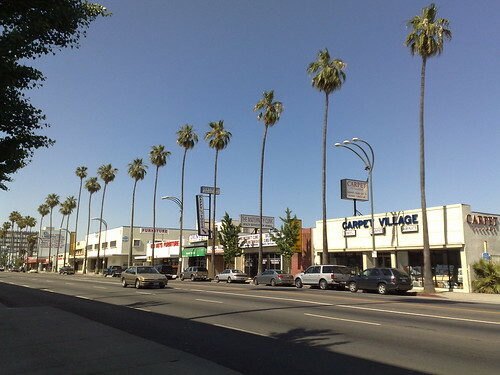 The palm tree-lined Van Nuys Boulevard gained fame in the film American Graffiti, and the boulevard remains a prominent part of the neighborhood today. Van Nuys has a well-rounded economy with various industries that provide jobs for locals. The largest industries in Van Nuys and the greater Los Angeles area are trade and transportation, education and health services, professional and business services and government. If you're hoping to find a job in the area, you'll want to start your search in the expanding industries of construction, leisure and hospitality, education, health services, and professional and business services. The largest employers in the surrounding Los Angeles County include Kaiser Permanente and the Los Angeles County Sheriff. Students living in Van Nuys attend a handful of schools in the Los Angeles United School District. In Van Nuys and the greater Los Angeles area, there are a variety of options if you're considering a private school education for your child. Utilities: The main utilities providers in the area include the Los Angeles Department of Water and Power, Southern California Edison and Southern California Gas. Garbage and Recycling: You can expect regular curbside or large dumpster collection of trash and recyclables throughout the community of Van Nuys. Transportation: A part of the greater Los Angeles area, Van Nuys is well connected via the Metro Orange Line. From there you can access a number of other lines that provide transportation throughout the city. Van Nuys is situated between Interstate 405 on the west and Hazeltine Avenue on the east side. If you're seeking easy access to retail and the Los Angeles Metrolink, you should concentrate on the northern side of Van Nuys. If you prefer a more residential area, look in the southern half of Van Nuys, where green spaces and schools give the streets a community feel. In the Van Nuys area, the median home price is much higher than the national average, but that's to be expected in the Los Angeles area. Our lowest priced units in Van Nuys, CA average $98.80 per month. 562 people have reserved units in Van Nuys, CA in the past 30 days. There are 10 locations within Van Nuys, CA's city limits. There are 3 locations in Van Nuys, CA that offer AC and Heating features.